Lee Marvin et Gene Hackmann s’étripent sous les yeux de la très belle et jeune Sissy Spacek pour notre plus grand plaisir : « Carnage » (« Prime Cut », 1972) de Michael Ritchie. Back to the vintage! Site officiel : http://www.carlottavod.com/film-657-prime-cut.html. 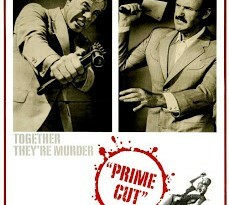 Lee Marvin and Gene Hackmann gut themselves in front of the very young and beautiful Sissy Spacek for our greatest pleasure: « Prime Cut » (1972) by Michael Ritchie. Back to the vintage! To learn more: https://secure.wikimedia.org/wikipedia/en/wiki/Prime_Cut.